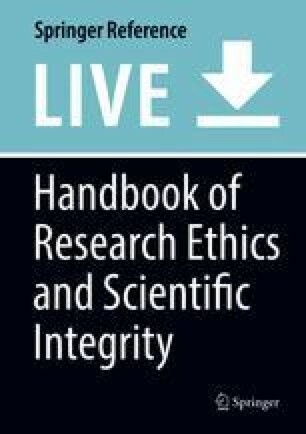 This chapter covers common research ethics issues within research proposals in sport and exercise science. Identifying the reason or reasons for the study at the outset is the first and most important part of the research ethics process. A thorough and scientific analysis of previous findings helps the researcher identify strategies to extend current knowledge and practice within sport and exercise science settings. Understanding and application of professional body guidelines for good practice will enhance both the submission for research ethics review and the underlying ethical value providing enhanced confidence in the reliability of the research study. Obvious and overlooked researcher competencies are outlined, identifying a range of opportunities for skills training. Spanning a range of disciplines, sport and exercise science research addresses sensitive topics, issues of disclosure, and physical measurement procedures. This chapter highlights considerations that ensure the research process does not harm participants in the quest to further knowledge and practice. Finally, some solutions to actual and perceived barriers are proposed to help refine and develop the research ethics review process in sport and exercise science.